Have you got an older horse or pony that needs some extra care when autumn and winter come along? Then pick up some handy feeding tips from Hickstead Horse Feeds nutritionist Christine Smy from the article below. Many elderly horses do well during the summer months, particularly when there is plenty of 'Dr Green' to eat, with older horses with loose or missing teeth managing to chew and digest the young grass shoots relatively easily. Grass is an excellent source of digestible fibre, and the general 'walking about' exercise in the field will keep arthritis at bay. But, later in the summer, problems may start to appear. Once the grass has flowered and seeded, it becomes tough and lignified, and the digestibility and nutritional value lowers on a daily basis. Older horses often have difficulty in digesting specific nutrients such as protein and phosphorus, and require a higher level of energy to maintain body weight. Spring and early summer grass will usually provide a balanced diet, but older grass will not, so it's at this time that supplementary feeding should be considered to ensure a balanced diet. When choosing a concentrate to feed to an older horse, there are several points to be taken into consideration.
" Teeth - a mouth of loose or missing teeth cannot chew effectively. Many concentrates designed specifically for veterans are mixes; however, if the horse can't chew effectively, and flakes of grain are swallowed whole, stress will be placed on the gut resulting in potential problems, particularly colic. For these horses, forget buying expensive mixes - instead, feed Hickstead Hi Fibre Cubes, a balanced cube containing 19% fibre which can be soaked with warm water or sugar beet water for 20 minutes. The resulting mash can be digested efficiently without any stress to the gut.
" Droppings - keep an eye on the droppings as these can tell you how the feed has been digested. Strong or sour smelling droppings will indicate poor digestion, as will droppings containing cereal grains or long fibre from forage or chaff. If there is a problem in this department, it may be time to convert to Hickstead Hi Fibre Cubes, which contain super-fibres, increasing digestibility and, as the fibres are ground, gut irritation will be avoided, making sure nothing is wasted. These cubes can replace all forages including chaffs.
" Weight - older horses can lose weight through the latter part of the summer. Many have problems regulating their temperatures, particularly during hot and humid weather, and heat stress will suppress appetite. It's important the feed is palatable and nutritious. The addition of Hickstead Condition Cubes will be of benefit, and the cubes can be soaked with water and fed alone, or added to Hi Fibre Cubes to ensure maximum digestibility. Added soya provides an exceptional source of protein for muscle maintenance and the high oil content supports good body and coat condition. 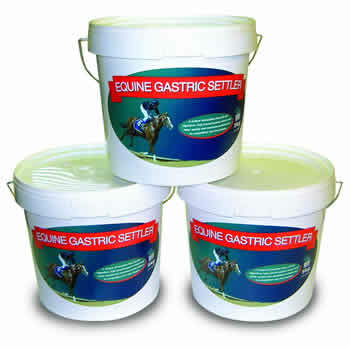 Hickstead Condition Cubes are an excellent all round ration, ideal for older horses.
" General care of older horses during hot weather is important. Provision of shelter and shade from the sun and flies is more imperative than with younger horses and older horses often tend to be subjected to bullying from other horses, with the result of lower feed intake.